Fan-favorite and million selling indie game Magicka is getting a sequel on the PlayStation 4 and PC. Magicka 2 and its unique spell casting system are promising to further push the boundaries of co-op play and try to find a way for you not to lose friends over this game. 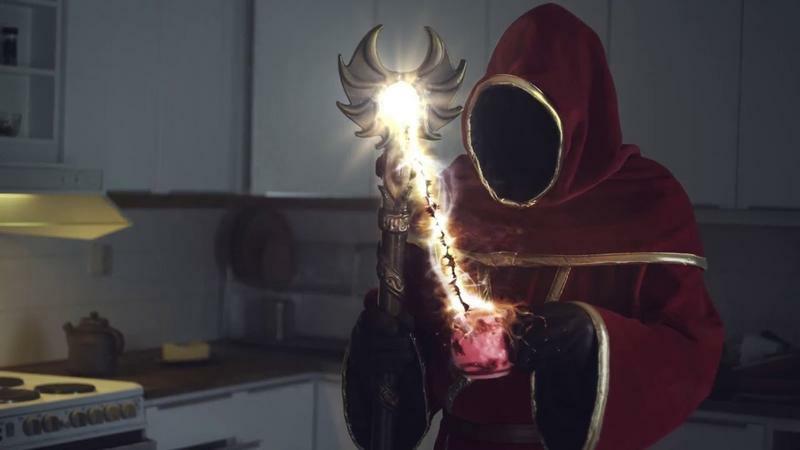 "Millions of people enjoyed the first Magicka, even after their friends exploded their heads with an 'accidental' fire beam," said Fredrik Wester, CEO of Paradox Interactive. "The next chapter of the Magicka saga is going to introduce new twists on the gameplay and customization options, all presented with beautiful art and animation on the PC and PS4®. Our players will be able to control their Wizards the way they like, assuming their fellow spellcasters let them live that long." The hilarious reveal trailer doesn't do much in terms of showing off new gameplay ideas. Much of it is just the live action recreation of a wizard's haphazard life between adventures, but that's all it takes. I'm pumped for more backstabbings and meteor strikes on friends. For those who have never played it, the original Magicka had an interesting spell system in which combining elements led to casting spells. The only problem is that they were perilously difficult to remember and required precise aiming. More often than not, a friend was getting hit with a spell you didn't want to cast, or a monster crushed a partner depending on you to save him. Fun for laughs, but challenging as all hell if you're trying to seriously play through the game. I'm looking forward to how Arrowheads Game Studios plans on taking it further. If I remember correctly, Magicka was the game which turned me on to the idea of Steam as a long term option and introduced me to the magic of Steam Sales. In a way, it complicated my gaming life in more ways than it contributed to it, and I hope that this sequel's easy access via PlayStation 4 won't be as nearly disastrous. Magicka 2 doesn't have a release date yet, but it will be available for the PlayStation 4 and PC.